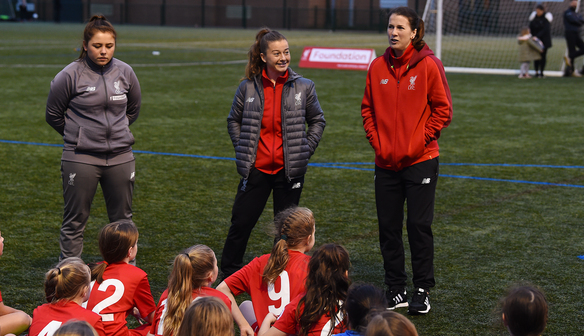 Liverpool FC Women's Christie Murray and Niamh Fahey surprised two local girls' football teams at Anfield Sports and Community Centre last week. LFC Foundation’s Premier League Kicks girls’ team were taking on Bootle FC Girls in a half-term match - organised by the club’s official charity to raise the profile of girls’ football and highlight pathways into the game for female players - when the Reds stars called in. After taking part in warm-up activities, football drills and a mini-match, the young girls were introduced to Fahey and Murray, who spoke about their backgrounds, careers and what it’s like to play football professionally. The players then joined the junior teams for a series of friendly mini-games on ASCC’s floodlit 3G pitch. Alex O’Neil, a member of the LFC Foundation PL Kicks girls’ team, said: “We had no idea we would be meeting professional players after the game. 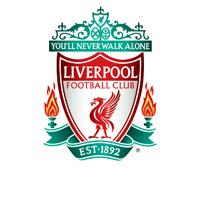 LFC Foundation’s PL Kicks girls’ session takes place at ASCC every Wednesday during term time, from 5pm to 6pm. Any girls aged eight to 13 are welcome to attend. For more information, click here.